Are you a diehard fan of anime? 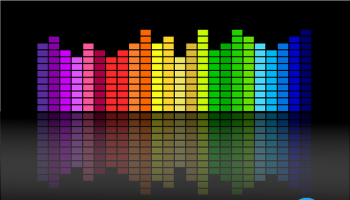 Do you like streaming them online or do you wish to wish to download them? 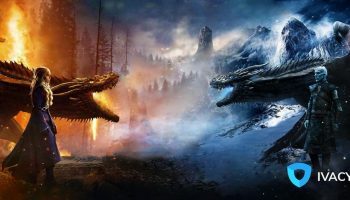 If you are one of those who would stream, you should check out sites such as 9anime.to but in order to download anime torrents from some of the biggest anime torrent websites, look no further! Downloading torrents is illegal in some countries. To avoid legal prosecution, make sure you to protect yourself with Ivacy VPN before downloading torrents. 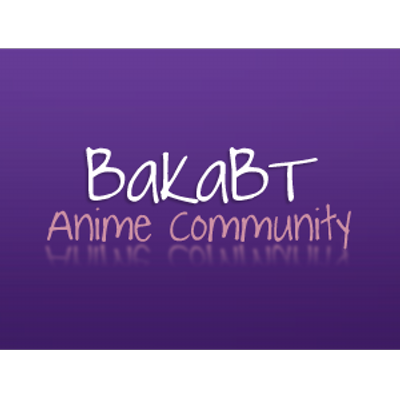 Bakabt.me is one of the best sites for downloading all your favorite torrent anime. It has arguably the largest library of anime torrents available on the internet and contains both subbed and dubbed torrent files. In fact, the library is so massive that you’ll find practically anything here as long it is anime. From popular anime series like Naruto, One Punch and Yu-Gi-Oh to anime movies like Ghost In The Shell and Cowboy Bebop The Movie, you’ll find it all here. The interface is incredibly user-friendly and torrent download links are legit and working. Hence, Bakabt.me tops our list of the best anime torrent sites for 2019. 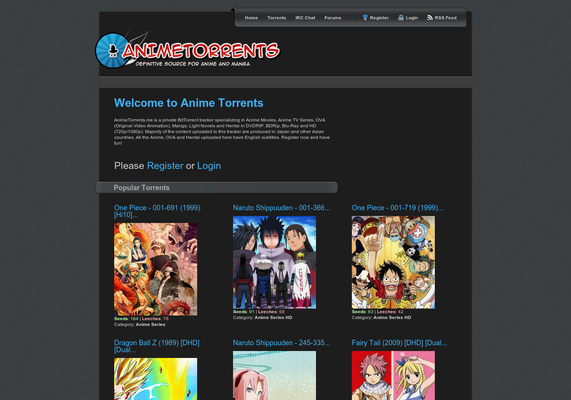 Animetorrents.me is the one-stop shop to everything “anime”. It has a massive library of anime torrents to choose from and download. With hundreds of seeders on torrents and torrents that are legit, downloading will be quick and uninterrupted. You can even read user comments to get instant feedback on the best torrents to download. In short, Animetorrents.me is one of the best anime torrent sites out there as it has almost every anime torrent available in its library. The interface of Animetorrents.me is another plus point. It is snappy and user-friendly, with finding and downloading torrents cannot get any easier than this. Downloading torrents is illegal in some countries. 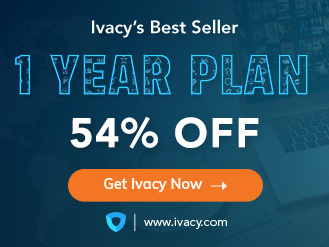 To avoid legal prosecution, make sure you anonymize yourself with Ivacy VPN before downloading torrents. 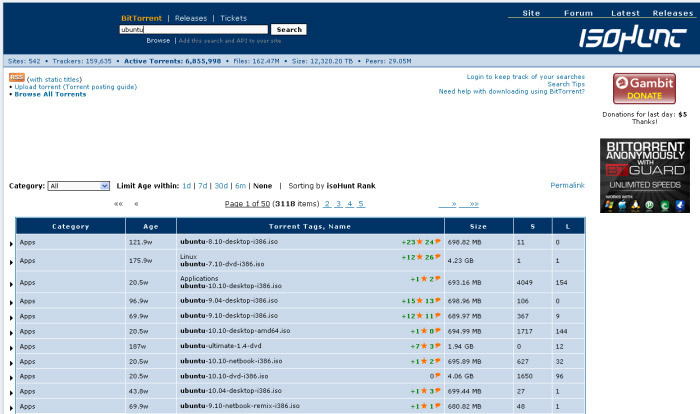 ISOHunt is one torrenting site that has endured through time and survived to tell the tale. 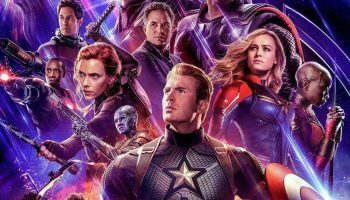 The site is still regarded as one of the biggest torrent-indexing website in the world with a massive library of torrents that includes everything from movies and TV shows to games, music and even anime. That’s right! If you haven’t searched ISOHunt for anime then do it now and you’ll be surprised to see all your favorite anime titles in the library ready for you to download. All you have to do is enter the name of your favorite anime title in the search bar of ISOHunt and it will do the rest, bringing you the most relevant and most downloaded torrents in the search results to your query. It’s that simple! 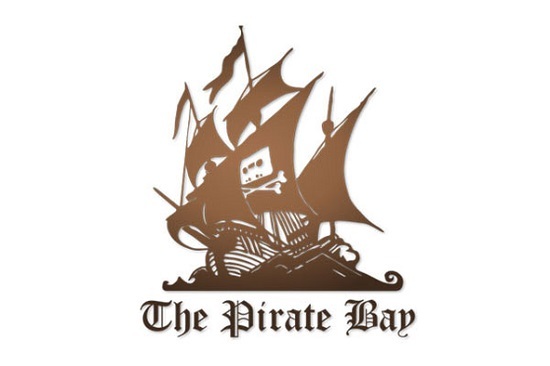 After the shutdown of Kickass Torrents, The Pirate Bay rose to the number one spot. Today, it is the world’s biggest torrent-indexing site and has a massive library of the latest movies, TV shows, music and even anime. So if you’re looking for anime torrenting download then this is one site that has virtually every single anime title that has come out to date. All you have to do is type the name of your favorite anime in the search bar and The Pirate Bay will do the rest, scanning its library for the most relevant and popular search results. 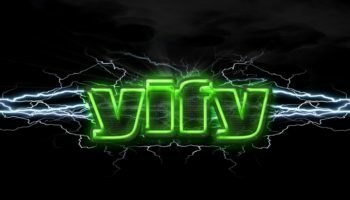 This makes it one of the best anime torrent download sites for 2019. Torrenters usually visit Limetorrents.cc to download torrents of their favorite movies and TV shows. However, little do they know that the site has a huge library of anime torrents too that is worth checking. From the most popular anime series like Yu-Gi-Oh, Naruto, Dragonball Z and Death Note to award-winning anime movies like When Marnie Was There, Ponyo, 5 Centimeters Per Second, Princess Mononoke and Spirited Away, you’ll find virtually every title in the library and you can download them quickly and without interruption. This makes Limetorrents one of the best anime torrent sites for 2019. So this is our list of the best anime torrenting sites 2019. The libraries of these anime torrent sites are so huge that you can find virtually any title in there without even breaking a sweat. That’s it from us for now. Do let us know what you think about our list of best torrent sites for anime and let us know if we’ve missed any. Or leave us a comment to give us suggestions or feedback. Until next time, ciao!